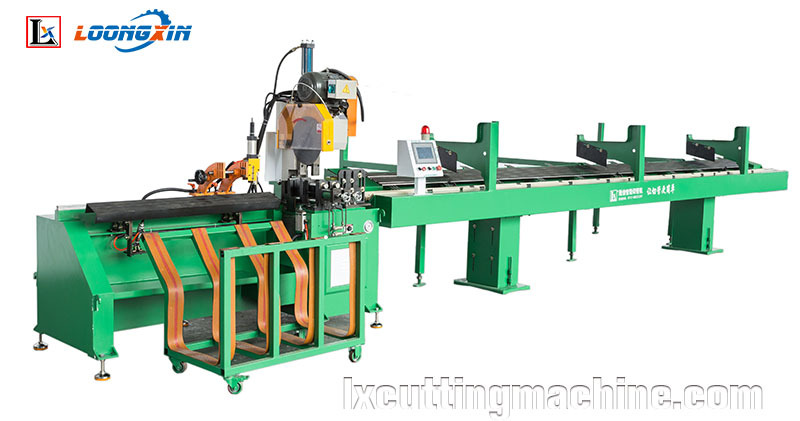 Ultimately, you need to consider several variables before deciding to purchase a laser tube cutting machine; product design, process simplification, cost reduction, and response times are among the most critical. Laser cutting can lend itself to completely new product designs. Innovative and complicated designs are easy to process with the laser and can make a product stronger and more aesthetically pleasing, often reducing weight without sacrificing strength. Tube lasers excel at supporting the tube assembly process. 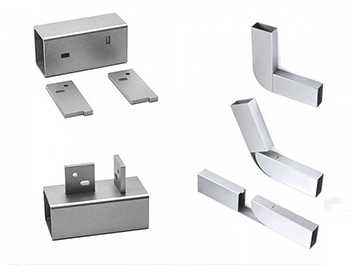 Special laser-cut features that allow tube profiles to be bent or joined easily can simplify welding and assembly greatly (see Figure 1 and Figure 2) and help reduce the product’s cost. A laser allows the operator to cut holes and contours precisely in one working step, eliminating repeated part handlings for downstream processes (see Figure 3). 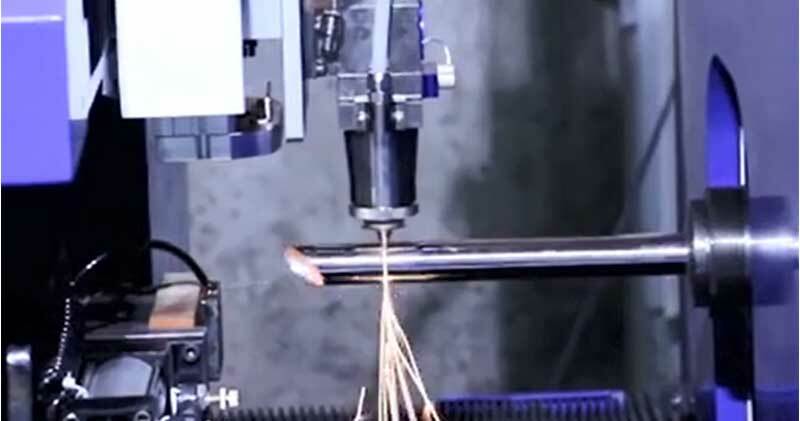 In one specific example, making a tube connection with a laser instead of sawing, milling, drilling, deburring, and the associated material handling reduced the manufacturing cost by 30 percent. Easy programming from a computer-aided design drawing makes it possible to program a part quickly for laser cutting, even if it is for small-batch production or prototyping. Not only can the tube laser process parts quickly, but setup time is minimal, so you can make parts just-in-time to reduce inventory costs. After taking inventory of your typical manufacturing steps, your next step is to review the available features and decide which are essential. Cutting Power. Keep in mind that most tube lasers are equipped with resonators that deliver 2 to 4 kW of cutting power. This is sufficient to cut the typical maximum thickness of mild steel tubing (5⁄16 inch) and the typical maximum thickness of aluminum and steel tubing (¼ in.) efficiently. Fabricators that process substantial amounts of aluminum and stainless steel will need a machine at the high end of the power range, whereas companies that work with light-gauge mild steel can likely get by with one at the low end. Capacity. The machine’s capacity, usually rated in maximum weight per foot, is another critical consideration. Tubes come in a variety of standard sizes, typically from 20 to 30 feet and sometimes longer. An original equipment manufacturer or a contract manufacturer orders tube in custom sizes to minimize scrap and therefore should consider a machine that matches common material sizes. The choice gets a bit more complicated for job shops. Tubes from the mill are typically 24 ft. long for diameters up to 6 in. and 30 ft. long for profiles up to 10 in. in diameter. In this size range, the typical weight capacity of a tube laser system can be up to 27 pounds per linear foot. Material Load and Unload. Another factor in machine selection is its ability to feed in raw material. A typical laser machine, cutting typical parts, runs so quickly that manual loading processes cannot keep up, so tube laser cutting machines typically come with a bundle loader, which loads bundles of up to 8,000 lbs. of material into a magazine. The loader separates the tubes and loads them one by one into the machine. The bundle loader also can deliver a number of raw tubes into a buffer magazine to reduce the loading times between tubes to as little as 12 seconds. Switching from one tube size to another is made simple by an automatic mechanism within the loader. All adjustments needed for a new tube size are handled by the controller. When it’s necessary to interrupt a large production run for a small job, it is still important to have some manual load options. The operator pauses the production run, manually loads and processes the tubes to complete the small job, then restarts the production run. Unloading also comes into play. The unloading side of the equipment for finished tubes is usually 10 ft. long but can be increased to accommodate the length of the finished parts to be processed. Cutting tabs and slots simplify assembly (first and third images), while removing V-shaped sections allows assemblers to fold and fixture tube for welding with little effort (second and fourth images). 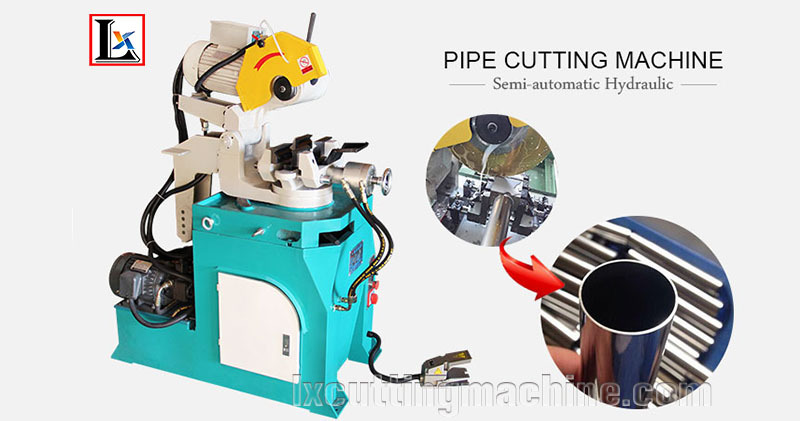 In addition, precise face cuts enable tube-to-blank connections that fit precisely and need little, if any, grinding and cleanup. Seam and Shape Detection. Welded tubes are used in manufactured products much more than seamless tubes, and the weld seam can interfere with the laser cutting process and possibly the final assembly. A laser machine equipped with the right hardware usually can detect welded seams from the outside, but sometimes the tube’s finish obscures the seam. A typical seam-sensing system uses two cameras and two light sources to look at the outside and inside of the tube to detect the weld seam. After the vision system detects the weld seam, the machine’s software and control system rotate the tube to minimize the weld seam’s impact on the finished product. Most tube laser systems can cut round, square, and rectangular tubing, as well as profiles such as teardrop shapes, angle iron, and C-channel. Asymmetrical profiles can be challenging to load and clamp properly, so an optional camera equipped with special lighting inspects the tube during the loading process and adjusts the chuck according to the detected profile. This ensures reliable loading and cutting of asymmetrical profiles. Cutting Head. Bevel cutting is important for fitting cut tubes together for welding. Bevel cutting requires a cutting head that tilts up to 45 degrees in either direction during the cutting process. For additional processing safety during the complex bevel cutting process, the cutting head may be secured by magnets. 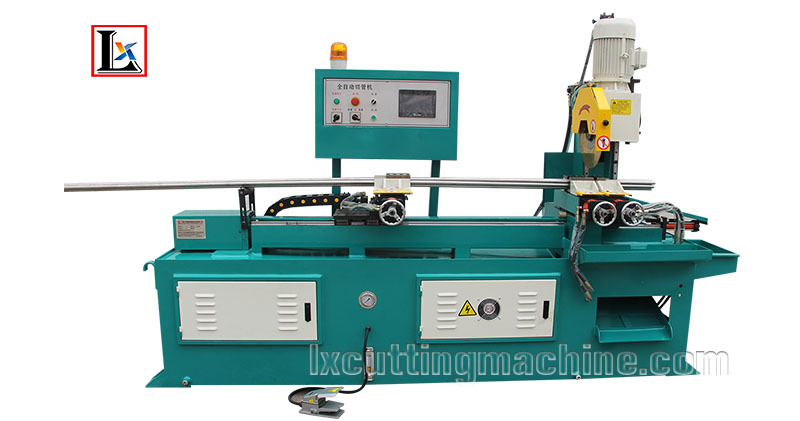 In the case of a collision between the tubular workpiece and the head, the head detaches; it can be reattached in just a few seconds. It also is possible to combine the bevel cutting head with an additional high-speed axis for improved cutting acceleration, allowing an increase in equipment productivity approaching 30 percent. After identifying the value a laser tube cutting system can bring to the production process, you need to configure that equipment for your application. For instance, too short of a loading system can seriously impact the nesting efficiency of finished parts, which increases scrap, while too long of a system would require a higher initial investment and more floor space than is required. In addition to seeking advice from system manufacturers, you will need to cut sample parts and evaluate every available option to make sure your investment results in the best possible return.